Growing up, I used to love watching Dean Martin and Jerry Lewis on television with my Dad. Whenever he would get home from working a police detail, he would look to unwind and this legendary comedic duo was always his go-to entertainment. He had recorded some of his favorite Colgate Comedy Hour episodes on VHS tapes, and we would pop one in and watch it while he ate his dinner. Oh, how I loved that time with him, laughing and having fun. You couldn't watch these two guys without walking away with a smile on your face. Their stage presence is nothing that I have seen duplicated, as they had chemistry like no other comedians that came after them. It didn't matter if they were performing for a television show, on stage or in a movie, you knew when you saw these two together or solo that you were going to be in for a fun night of laughs. 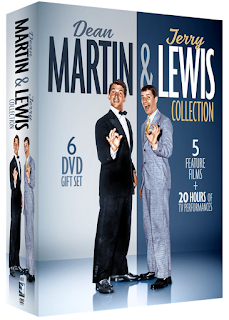 If you are a fan of Dean Martin and Jerry Lewis, and grew up watching the perform on television and in movies, then you will want to pick up this new 6-DVD set to add to your collection. "Dean Martin and Jerry Lewis - the crooner and the clown. They were the best-known comedy duo of their day. When they performed, whether on stage, television, or in the movies, the sky was the limit and the laughter was endless. 2 feature films starring Dean Martin (Who Was That Lady? 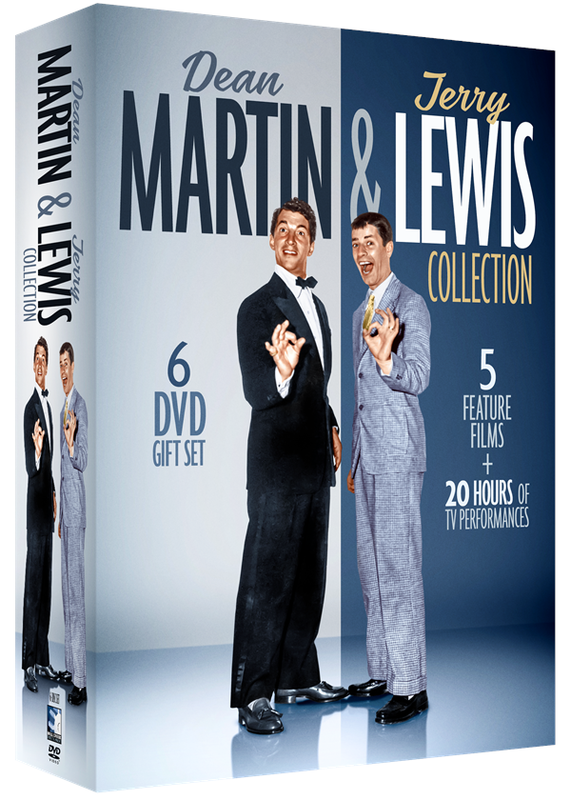 and How To Save A Marriage & Ruin Your Life)"
I tried watching nothing but Jerry Lewis comedies when I was young.